An interactive Database XML connection tool. Is there a better alternative to Unity? Is Unity really the best app in Applications category? Will Unity work good on macOS 10.13.4? 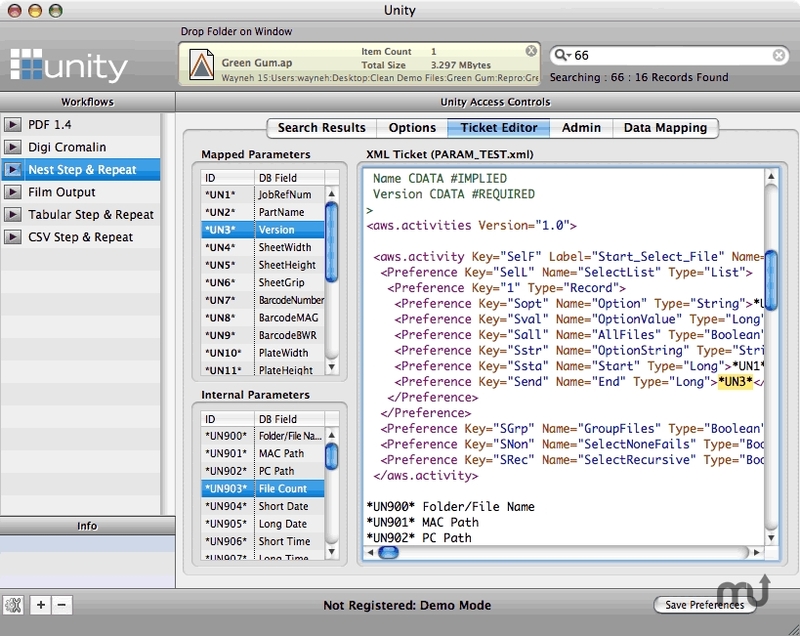 Unity is an interactive Database XML connection tool, which allows for integration with automation systems such as Artwork Systems Nexus and Esko's backend tools. With Unity users can map specific database Fields and Tables to customised automation workflow's via XML. Unity then manages the XML creation and forwarding for you. Any Database which has ODBC connectivity can be linked to Unity, this means you can drive workflow systems via XML from your MIS solution. Unity needs a review. Be the first to review this app and get the discussion started! Unity needs a rating. Be the first to rate this app and get the discussion started!